ST. THOMAS, USVI (CBS USVI) — Just three weeks until election day and people in the Virgin Islands are already casting their ballot. Early voting started Monday in St. Croix and St. Thomas. The first day of early voting brought out 444 people in St. Thomas and 341 people in St. Croix. 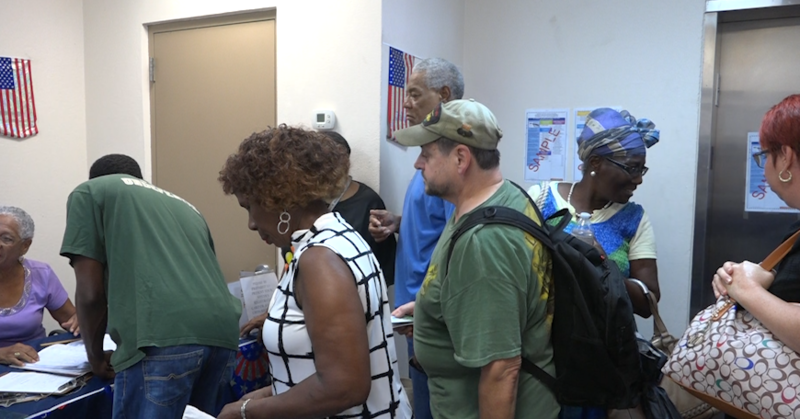 “It’s an easy process, in and out so many people are happy that early voting exists so they don’t have to do the lines and get out on Election Day,” Douglas added. “Get out of the crowd, get out of the rush, and make sure that we vote,” John Gumbes a voter from St. Thomas said. “Same thing, make sure we vote early and get it out of the way,” George Goodwin another voter from St. Thomas added. The polls are open until October 29 from 9AM until 6PM in St. Thomas and St. Croix. In St. John they don’t open until Saturday October 20 and stay open until October 23 from 9AM to 6PM.